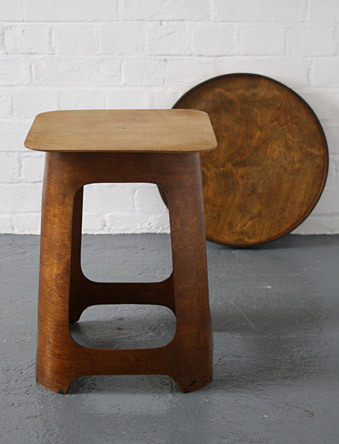 A stool/table by an unknown designer and made by the Venesta Plywood Company in 1933 for Isokon, UK. 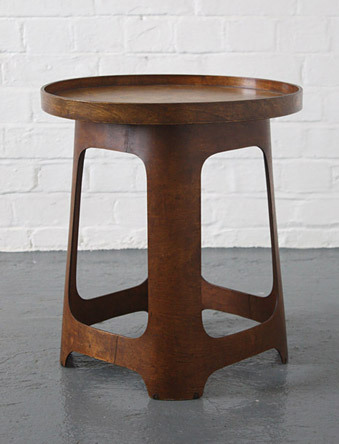 The stools were made for the 'Isobar' (designed by Marcel Breuer) within the modernist Lawn Road Flats designed by Wells Coates and commissioned by Jack and Molly Pritchard, Isokon. 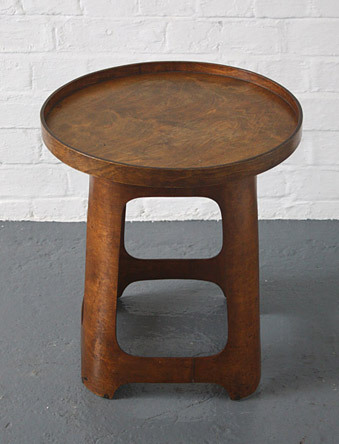 Includes the original tray top so can be used as stool or side table. In very good condition. Some light wear to the finish and a small piece of the base is missing. 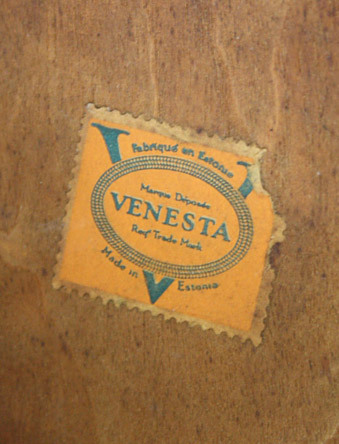 Has the Venesta label to the underside of the stool and a Venesta stamp on the tray. Dimensions: 45cm high x 33cm wide x 33cm deep. Tray: 44cm diameter.